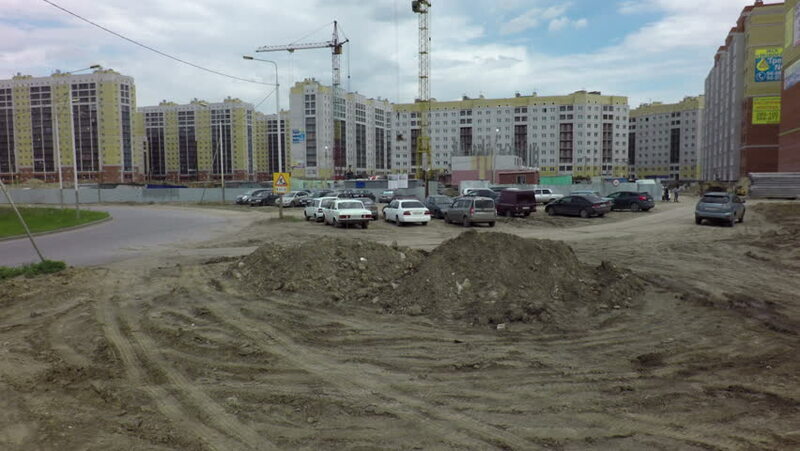 Omsk, Russia - May 26, 2015: Construction of the apartment houses in Omsk. hd00:26MIAMI - MARCH 21: People and construction machines in action at a construction site in Coral Gables on March 21, 2012 in Miami, FL. 4k00:25ESPOO, FINLAND - SEPTEMBER 8, 2016: Huge truck transports soil from the construction site.